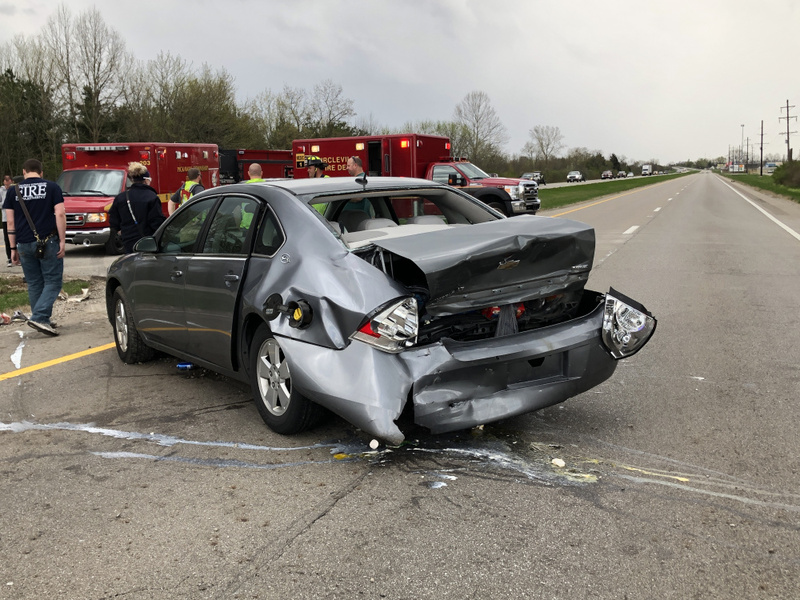 CIRCLEVILLE – An accident occurred around 2:30 pm on April 14, 2019, when two vehicles collided on US 23 in front of You Store You Lock located at 20051 US Highway 23 in Circleville. 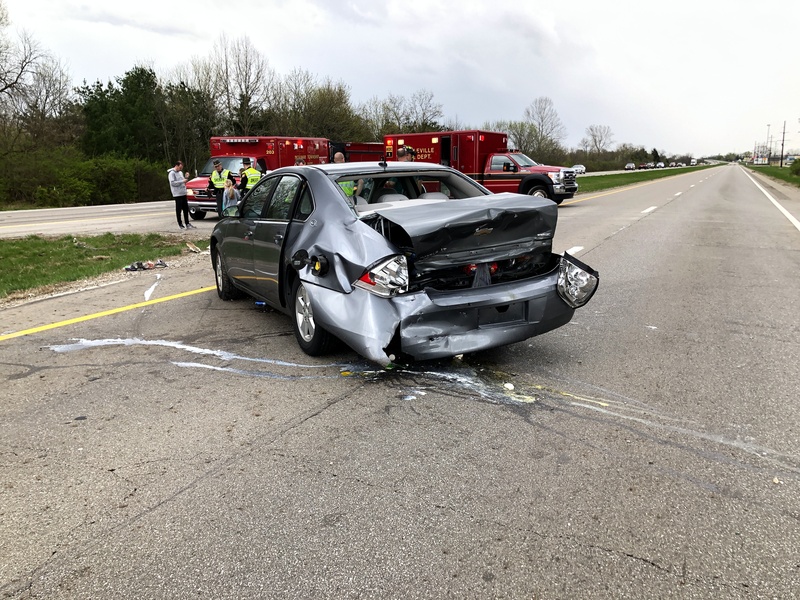 According to Pickaway Sheriffs on scene both vehicles were heading North bound on 23 when the driver of the grey Chevy Impala attempted to make a left hand turn into the You Store You Lock location and the Driver of the Honda Pilot failed to yield to traffic and rear ended her at a high rate of speed. This caused to Impala to cross over the median and come to rest in the South bound lanes of 23. The driver of the Impala was transported by Circleville EMS to Berger hospital with multiple injuries. 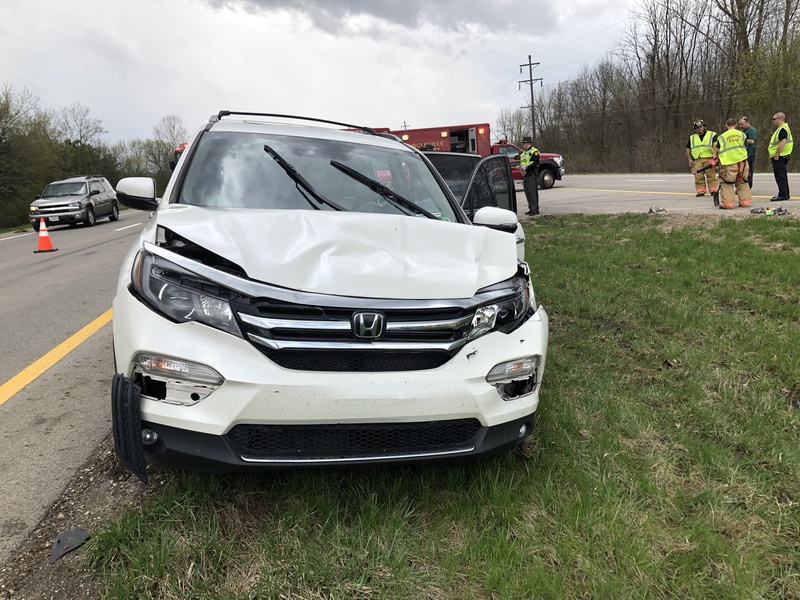 The driver of the Honda Pilot was unhurt along with the two children that were in the car. According to Sheriff everyone was wearing seatbelts at the time of the accident. 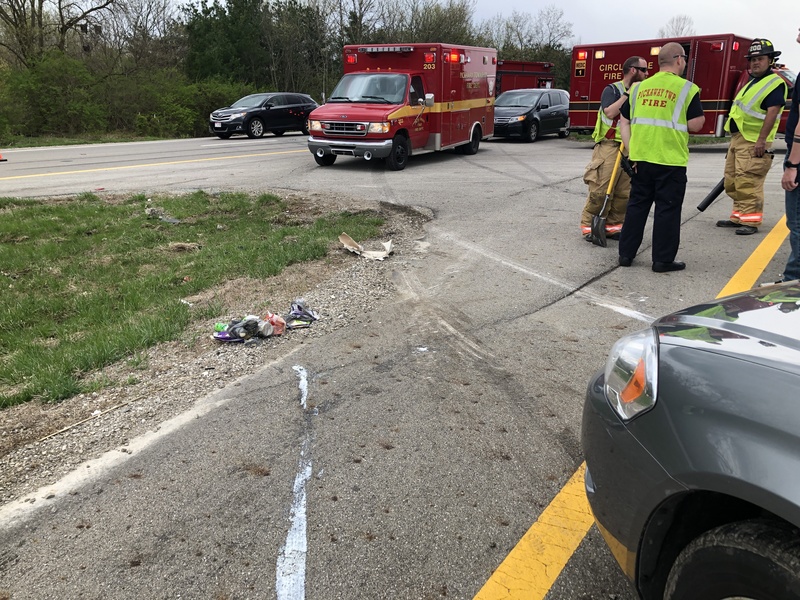 Pickaway County Sheriffs, Circleville EMT, and Pickaway Township Fire/EMT were on scene. Traffic was impacted for about a hour, both north and south bound lanes.